Last call — bid & contribute to a great cause! Do you have your bids in? No? Stop procrastinating — bidding ends May 31 at NY Times best-selling romantic suspense author Brenda Novak’s annual online auction. Writers and readers of all genres will drool over the offerings. All proceeds go to juvenile diabetes research — a cause prompted by Brenda’s own son, who has Type 1 diabetes — more than 1.6 MILLION has been raised so far! More from the auction website. My contribution: win one of those baskets in the window of The Merc, crammed with a signed copy of Death al Dente and Montana goodies! Cowboy Roast Coffee, huckleberry chocolates, preserves, taffy, lip balm, soap — and a custom coffee mug. 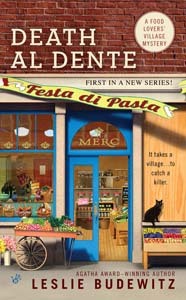 This entry was posted in Food Lovers' Village Mysteries and tagged Brenda Novak's Annual Online Auction for Diabetes Research by Leslie Budewitz. Bookmark the permalink.